Last week, the topic of discussion was the great English coaching horse breed, the Cleveland Bay. This week will be dicussed the taller, lighter, faster cousin of the Cleveland Bay, the Yorkshire Coach horse. More a Cleveland Bay hybrid than a separate breed, the Yorkshire Coach horse was also often known as the New Cleveland Bay. They quickly became popular with the sporting set to horse their curricles, tilburies, high-perch phaetons and other light-weight vehicles. The favorite boast of the Cleveland Bay breeders was that their horses had "No taint of Black nor Blood." By that, they meant that their horses did not descend from the Old English Black Horse, sometimes called the Lincolnshire Black, nor had the Clevelands any Thoroughbred blood. Which is quite true. There is no evidence that the Cleveland Bay had any crosses from the Old English Black Horse in its ancestry. Probably because the Old English Blacks were centered in the southern counties and it is unlikely any of them made their way as far north as the Vale of Cleveland or the Yorkshire ridings. Nor did the Clevelands carry any Thoroughbred blood in their veins, despite the fact that two of the most important and prolific of the Cleveland stallions in the first half of the eighteenth century were direct descendants of two of the foundation sires of the Thoroughbred line, the Darley Arabian and the Godolphin Arabian. Both Arabian sires, it should be noted, were bay in color. Manica was foaled in 1717, the son of the Darley Arabian, while Jalap, the grandson of the Godolphin Arabian, is believed to have been foaled in the 1750s. Both were out of Cleveland Bay mares and were perfect exemplars of the Cleveland Bay breed. Manica and Jalap became the most important sires of the Cleveland Bay breed in England, and one or the other of them, and sometimes both, are found most often in the pedigrees of Cleveland Bays throughout the eighteenth century. Yet, despite the fact that these two stallions were direct descendants of two of the three foundation sires of the Thoroughbred line, the Cleveland breeders boast that their horses contained no “blood,” meaning no Thoroughbred blood, is quite true. Neither Manica nor Jalap carried any Thoroughbred blood, since their sire and grandsire, respectively, were so near the root of the Thoroughbred genealogical tree that they were both more true to the Oriental type horse than they were to what would become the English Thoroughbred. In fact, the Cleveland Bay breed pre-dates the English Thoroughbred by nearly a century. The characteristics of the Cleveland Bay were fairly well set by the 1680s, while the horse type which became the English Thoroughbred were not fixed until about 1760. Though the foundation sires of the Thoroughbred line had been imported into England in the early decades of the eighteenth century, it took several decades of cross breeding Oriental stallions with English mares to develop the unique breed which came to be known as the Thoroughbred. Coincidentally, like the Cleveland Bay, the English Thoroughbred breed originated in Yorkshire, probably in the Vale of Bedale. Here, breeders crossed the sons and grandsons of the Eastern hot blood stallions with English racing mares, many of them the fleet-footed Yorkshire Galloways, which were believed to carry the blood of the hardy horses which escaped the destruction of the ships of Spanish Armada when they broke up in storms along the northern coast of Britain in 1588. By the mid-eighteenth century, English Thoroughbred breeders were no longer importing Eastern horses. They had begun to achieve the type of horse with the conformation, speed and stamina which was making a good showing on the race tracks of England. Rather than continuing to introduce additional Oriental blood, they were concentrating on perfecting the breed using the significant stock of races horses with those characteristics already available to them in Britain. Yet it was not until the last decade of the eighteenth century that this breed of horse actually came to be known as a "Thoroughbred." Prior to that time, the term "thoroughbred" was used to refer to people who were well-educated and highly accomplished. The use of the term in that sense died out as the Thoroughbred horse came to prominence as the century came to an end. As the eighteenth century slipped into the nineteenth, the roadway system of Britain was slowly being expanded. In addition, the various government bodies who controlled those counties through which the roads passed were given the responsibility of ongoing maintenance of their portion of the road surfaces. Cleveland Bays had excelled at pulling heavy coaches over rough terrain at reasonable speeds for more than a century. But with a better maintained and expanded roadway system, the need for sturdy, heavy coaches gave way to the development of light-weight, well-sprung carriages which could be drawn by lighter, flashier, preferably faster, horses. Breeders in Howdenshire, in the East Riding of Yorkshire, began to experiment by crossing Thoroughbreds with Cleveland Bays. In most cases, using a Thoroughbred stallion to cover a Cleveland Bay mare. Typically, they selected the tallest, sturdiest horses of each breed for these crosses, in the hope of increasing the height, and in particular, the length of the leg, in the offspring of these pairings. For the most part, breeders also selected Thoroughbreds who were bay in color, in the hope of producing bay foals, since bay was still the most preferred horse color in England at that time, especially for coach and carriage horses. Initial breeding efforts had mixed results. The new horses were usually taller, standing between 17 to 17.5 hands when full grown. And most had the longer legs of their Thoroughbred sires. Though many of these half Thoroughbred, half Cleveland Bay foals had great speed, they also retained much of the fractious temperament of their sires, rather than the calm, even temperament and intelligence of their dams. They tended not to be as strong, nor did they have the stamina to work in harness for long hours as did a purebred Cleveland Bay. Some less scrupulous breeders allowed their Cleveland Bay mares to be serviced by chestnut-colored Thoroughbred stallions instead of bays. This could sometimes result in a bay foal with the unacceptable fault of "red legs." Such foals were often bright bay in color, but they did not have the black points of a classic bay, with legs that were black from above the knee to the hoof. These red-legged foals would have legs with the bright bay color right down to their feet. And many of them also had brown rather than the very hard blue-black hooves so prized in Cleveland Bays. But in time, the Howdenshire breeders discovered the secret for producing the perfect fast, tall elegant carriage horse. The mating of a half Thoroughbred, half Cleveland Bay stallion and a purebred Cleveland Bay mare resulted in a foal with all the strength, loyalty, even temper and intelligence of a Cleveland Bay, yet also had all the height, length of leg and athleticism of the Thoroughbred, while retaining the classic bay coloring. By 1805, prizes were being awarded in Howdenshire for this magnificent new coach horse hybrid. Locally, it was most often called the Howdenshire Bay, but throughout the rest of Britain it was known as the New Cleveland Bay, or more often as the Yorkshire Coach Horse. Once the successful breeding combination was understood, the prepotency of the Cleveland Bay blood ensured that the Yorkshire Coach Horse bred true. This three-quarter version of the Cleveland Bay had all the qualities of its purebred cousin, but was consistently more refined in conformation, with a elongated body and much longer legs, a longer, more clearly arched neck and slightly smaller head. It retained the large, dark luminous eyes of the Cleveland, as well as its bay coloring and hard, blue-black hooves. The Yorkshire Coach Horse also had a dash of the flash of the Thoroughbred in the proud arch of its neck, large flaring nostrils and alert stance. Its long legs gave it a much greater reach on each stride than its purebred cousin, enabling the Yorkshire Coach Horse to cover more ground at every step to achieve speeds never before seen on the roads of England. It also had a higher knee action and a flashier way of going than did purebred Clevelands, which appealed to many sporting gentlemen. But true Yorkshire Coach horses were very expensive and their price alone restricted who could own them. During the Regency, a gentleman could expect to pay anywhere from £500 to £700 per horse for his team of Yorkshire Coach horses, if he selected his team himself. There was usually an additional charge from the horse dealers, if they had already assembled a team and were selling them together. Thus, a pair could run at least £1,500, while a team of four horses could easily cost £3,000, or more, depending upon the quality of the horses. With its highly desirable bay coloring, elegant appearance and greater height and speed, the Yorkshire Coach Horse was immediately popular with wealthy and aristocratic driving enthusiasts across England. As with the Clevelands, matched teams were not overly difficult to assemble and when harnessed to a racing curricle or high-perch phaeton, a gentleman could travel at speeds of which his father or grandfather had never even dreamed. By the Regency, though the Cleveland Bay retained its position as the preferred coach horse for large enclosed coaches, the Yorkshire Coach horse was the ideal horse for use with well-sprung light-weight open carriages. Cleveland Bays remained a status symbol for wealthy, established, respectable families and the horse of choice to draw their sturdy, sedate, if perhaps a bit stodgy, closed coaches. But among the younger set, especially sporting gentlemen, the status symbol was a team of Yorkshire Coach horses hitched to a high-perch phaeton or racing curricle. Because of their refined appearance, the older generation was not long in coming to appreciate the quality of these elegant and fashionable horses. During the Regency and well into the reign of Queen Victoria, many open vehicles, occupied by ladies and gentlemen of all ages, were to be seen in Hyde Park during the social hour, all drawn by Yorkshire Coach horses. Once the Yorkshire Coach Horse had become established, they were bred in vast numbers. In addition to their popularity with English gentlemen of a sporting turn, they also became popular with European sportsmen with a need for speed. Those who could afford it purchased Yorkshire Coach Horses for export to their home countries, especially once Napoleon was finally removed from the Continent and commerce with England had been re-established. But the demand for Yorkshire Coach Horses was even greater in its home region. Though Cleveland Bays had provided the motive power for the mail and stage coaches which plied the Great North Road between York and London for more than half a century, they were supplanted by their taller and faster cousins as the Regency began. With a team of four Yorkshire Coach horses, a coach could average ten miles an hour on the open road, while on the better stretches, a top speed of nearly twenty miles an hour, for short bursts, was possible. With a four-horse hitch, the trip between York and London was routinely accomplished in less than twenty-four hours. But to keep the York to London coaches moving at top speed and have enough horses for all the stages along the route, at least two hundred horses were needed, stabled at the various coaching inns along the Great North Road. Despite the fact that Yorkshire Coach horses, like their Cleveland Bay cousins, were very long-lived, most public coach horses lasted only about three years in service before they had to be retired. Therefore, the need for fresh horses to keep the coaches moving was never-ending. It was also during the Regency that the lighter, elegant Yorkshire Coach horses, with their tremendous athletic ability, strength, stamina, speed, calm disposition and loyalty, were soon seen to be an excellent horse for use as hunters and general saddle horses. It was not long before they were sought after by the wealthy and knowledgeable as riding horses as well as carriage horses, just as had been their purebred Cleveland Bay cousins before them. Yorkshire Coach horses could be easily trained to the saddle, and had a smooth way of going which made them a comfortable ride, even during long days in the saddle. Due to their dual use as both carriage and saddle horses, Yorkshire Coach horses were in great demand and were bred all across Yorkshire by a number of breeders. In addition, many Yorkshire farmers with a purebred Cleveland mare would have her covered by a half-bred stallion and, regardless of the stud fee, the sale of a single weanling would usually net them enough to pay the rent on their farm for a full year. A farmer who had more than one Cleveland Bay mare could become quite prosperous, even breeding only one or two Yorkshire Coach horses a year. But what became of all those half Cleveland Bay/half Thoroughbred cross horses which were produced while the right breeding combination for a strong, speedy coach horse was being refined? Many, particularly those with color faults like red legs, were sold to European horse buyers who shipped them to their own countries, where perfect coloring was not an issue, for use in improving the speed of their own coach horses. However, quite a few of those half-bred horses were sold in England for use as carriage horses to those who liked their flashy looks and believed such horses had greater speed. And some of them did have more initial speed, but many of them did not have the greater strength and stamina or the even temperament of the three-quarter-bred Yorkshire Coach horse. They tended to be harder to handle, more easily spooked, and could not maintain a high rate of speed over a long course, even when hitched to a very light-weight vehicle. Thus, in races against a team of true Yorkshire Coach horses, they might have the edge on a short course, but at longer distances, they simply could not keep up and would usually fade before the finish. Very often, it was these half-bred horses which were sold to less knowledgeable and/or parsimonious buyers by opportunistic and unscrupulous horse dealers. The Yorkshire Coach Horse remained the most popular and fashionable coach and carriage horse from the Regency right through the reign of Queen Victoria. The advent of the railways soon eliminated the need for public coaches and thus the large numbers of coach horses needed to draw those vehicles. But many private carriages were still in use and were drawn by Yorkshire Coach horses, well into the early decades of the twentieth century. But as automobiles became more common, even private carriages ceased to be used and by the early 1930s, the Yorkshire Coach horse had become extinct. However, since the Yorkshire Coach Horse was a hybrid of the Cleveland Bay and the Thoroughbred, and both of those breeds still exist today, it would be possible to re-create the Yorkshire Coach Horse in modern times, should any horse breeder be so inclined. Though a team of greys, chestnuts or blacks might be described by Regency authors in their fiction, in point of fact, the most popular color for coach and carriage horses in England during the Regency was bay. Cleveland Bays were preferred by many people to draw closed coaches, especially for travel to or from their country estates and London, or on other long journeys. But among younger people, especially the sporting set, a team of Yorkshire Coach horses was prized above all other horses. For making a show in London in an open carriage, within a year or two after the Regency began, even those of the older generation were finding Yorkshire Coach horses quite the most fashionable for the purpose, assuming, of course, that they could afford them. However, there is no doubt that there were some very old-fashioned, traditionally-minded people who refused to horse their coaches with those newfangled Yorkshire Coach horses and continued to use Cleveland Bays. There were also those who were not good judges of horseflesh and therefore were easily bamboozled by shifty horse dealers into buying half-bred horses instead of true Yorkshire Coach horses. These half-breds would have lots of flash, but they would not have the even temper, intelligence, stamina and strength of genuine Yorkshire Coach horses. Such horses could be downright dangerous in the hands of an inexperienced driver, while, though a knowledgeable and experienced horseman would never buy such a team, he would be able to handle them, should the need arise. Both Cleveland Bays and their cousins, Yorkshire Coach horses, were the very best horses available, and the most popular, during the Regency. No Regency author can go wrong by giving the sporting gentlemen in their novels a hitch of Yorkshire Coach horses for their high-perch phaeton or racing curricle, if they want them to have an elegant, fashionable, fast, strong and intelligent team. Heros might prefer a Yorkshire Coach horse when hunting or when they ride out over their estate, or perhaps have to chase a villain, or the heroine, on horse-back. Those characters very conscious of their own consequence may horse their large, stately coaches with Cleveland Bays, and may also make sure everyone knows they can afford these high-status horses. Since these horses were very expensive, less affluent characters cannot afford them, but may envy those who can. Dear Regency Authors, the next time one of your characters has need of a very good horse, might you give them a Cleveland Bay or a Yorkshire Coach Horse? 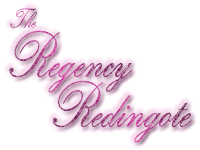 This entry was posted in Transportation and tagged Horses, Regency, Travel. Bookmark the permalink. I confess: I fudged. When I described the carriage horses in my WIP, it was from the point of view of an unsophisticated young lady who’s a little afraid of horses — so they’re “splendid match-bays”, and she finds their speed remarkable, and the coachman said something at the beginning of the journey about wanting to shake their fidgets out — but she wouldn’t know a Cleveland Bay from a Yorkshire Coach Horse on a bet. They make her nervous, even though her friend’s coachman handled them perfectly. Also, they’re pulling a barouche. Open, and lighter than a large travelling coach, but not really a sporting vehicle. I suspect her friend has some of each in her stable, as the family has occasion for large travelling coaches as well. Of course, there were always those young women who loved horses and learned as much about them as they possibly could. Yet they might very well have to hide that knowledge so as not to be thought too mannish or unfeminine while their mamas trolled them through the marriage mart. Or, they might expose that knowledge to try to fend off an offer from some suitor they found abhorrent. There is something else you might want to keep in mind, as an author, which I learned from a review of Georgette Heyer’s work. This reviewer said that one of the reasons they enjoyed Heyer’s books was because they had great confidence that she was fully cognizant of the world about which she wrote, even if she did not cram every fact about it onto the pages of her books. Even though you, the author, may know that your character has both Cleveland Bays and Yorkshire Coach horses in their stables, unless there is some facet of the story that will be advanced by the fact, it is quite enough that you know it, you do not have to share it with your readers. As you write, you will find that your own knowledge of the salient facts of the period and environment in which your story is set is sufficient. That background knowledge will give you more confidence, which will translate into your writing. In time, you will come to take for granted all you know about the Regency and you will just write your story as seems best to you. Your readers will sense that confidence and enjoy your work all the more, even if your stories are not stuffed chock-a-block with historical facts. I’ve already picked that up about not loading in the detail unless it’s relevant to the plot. This is why I joke about six hours of research for half a sentence. But *I* know it, and it helps! I can tell you the prices of inside and outside seats on the London-Portsmouth Mail, and its departure and arrival times, but all that got backgrounded, though the arrival time dictated a few other things. One of my characters IS very horse-loving, & that helped cement her relationship with her husband, but she’s a secondary character in the WIP (she was the heroine of the already-sold novel) and I had to tell her today that it WAS NOT RELEVANT to this story that her bay hunter from the novel is getting on in years so she bought a grey Arabian mare because she doesn’t live in hunt country now. All we need to know about her riding is that the other two girls DON’T, so they WALK together in the park when she’s having her before-breakfast rides. And the POINT was to show the conversation the other girls had. I’ll probably stick the bit about her new horse in my notes, though. Never know when I might need it. I am glad to know you have your characters under control! 😉 You are not the only author who has had to have stern words with their characters from time to time to make their stories work. I have had to do it myself a few times. It really is amazing that they can take on such a life of their own! Your Mail research sounds fascinating and, even though you invested a lot of time in it, I am sure it gave you a greater sense of the time in which you are writing, which is always a good thing. I agree about keeping all your snippets of character information in your notes. More than once, I have recorded something about a character, not sure if I would ever need it, only to find I had need of it later. I know that a good carriage horse of the later 19th century in the US were Morgans [I read Laura Ingalls Wilder] and were they in descent of the Yorkshire Carriage horse? I know a lot more about sheep than horses…. but I do know that horses are delicate critters, and one fault I would sometimes pick with the way people handle them in novels is to leave them standing about outside without walking them – horses need to be cooled gently or they can just die, and should be walked to keep them warm if the day is cold. Equally when hot, through exercise or external temperature, they should not be allowed to drink cold water as it can cause a colic. A colt that is too young and has not been strengthened properly and slowly can also be subject to that complaint mentioned by Heyer of ‘throwing out a splint’ or developing a deformity of the hock, which if caught quickly CAN be cured by rest and a built up shoe and then careful strengthening exercise, though I have no idea how early the concept of a cure was known. Returning to the Yorkshire Carriage horse specifically, I presume that they had a tendency towards being natural short-steppers; the high stepping gait beloved of the heroines of novels might be attractive for town work but is no good if you want speed or stamina, a short stepper is far better as a carriage horse and give it an advantage of a gait that was both speedy and easy to keep up for a long period. Again Kathryn, your knowledge of the time and the horses is amazing. One question that’s bothered me is the short-lived usefulness of coach horses. What happened to them that they could no longer be used on the stage? I know they were often sold to farmers for plow work, etc., but do you know specifically what made them unfit and why? I remember reading somewhere that horses were broken in wind if used on the stage after only about 2 years, and may have done a turn pulling hackney carriages in town. Kat? is that accurate? TLC will do a lot for a broken down horse if they were bought by a caring private owner, but I am guessing most ended up in the knacker’s yard for dogmeat. A gentleman’s horses would be better cared for of course. haha, I just realised I have missed a trick in ‘Cousin Prudence’ however in having got it to the verge of publishing before reading this, where the hero is breeding horses as carriage horses to sell as a supplement to help out his tenants in the year without a summer, maybe I shall have to write a sequel where, with new contacts in Yorkshire through his bride, he moves into the Yorkshire carriage horse. You are right, a horse with a broken wind would be useless for a public coach horse. But very often this happened to inferior horses who were purchased on the cheap by a coach service who did not take pride in its horses or its vehicles. From what I can tell, such was not the case with the Royal Mail and regular stage coaches which plied the Great North Road. They used high-quality vehicles and purchased only well-bred horses to draw them. In the long run, this was actually cheaper, since they got more reliable service out of both their vehicles and their horses. They also did not run them into the ground and retired them when they began to show signs of aging. Those who drove hackneys in town would buy whatever was cheap, both old coaches, often rejects from wealthy private owners, and old horses, sometimes rejects from the same private owners. In such cases, they might get a Cleveland Bay or a Yorkshire Coach horse, then again they might not. Those hackney drivers with a bit more self-respect might keep up their coach and buy retired public coach horses, which would give their rigs a bit of panache. Such a rig would draw a more upscale trade, so in the end, that hackney would be more likely to make a better living. Now, about your hero in Cousin Prudence. Perhaps he has bought a few retired Yorkshire Coach horses which he has presented to his tenants for use in breeding more of the same, which would certainly help to supplement their income most handsomely in that terrible year. It was never actually spelled out in the books and articles I used for my research, but I suspect it was mostly just the intense daily grind that wore them down. Once a horse was out of peak condition, pairing it with a horse that was in tip-top shape would slow the second horse down. It was important that team-mates have similar energy levels to ensure the greatest possible speed for the mail and stage coaches. These retired public coach horses seem to have been purchased by those of the middling classes who had need of a reliable team but did not have the deep pockets of the aristocracy and the upper gentry. From what I can tell, many horses spent their retirement pulling the family coach or carriage to church on Sunday, with maybe some visiting to friends during the week. Farmers or breeders on a budget might also purchase some of these retired coach horses for use in breeding and/or for working their farms. Without the daily grind of constant high speeds over the stage of the road over which they pulled the coach, these horses did very well for many years in their new homes. Essentially, these retired coach horses were sold off much as rental agencies, taxi or livery companies sell off their old cars today. There is still a lot of use in most of those vehicles, but they are beginning to age and the company wants to maintain their image by having only the newest and best cars in service. How nice to hear that many of them had a better prospect of old age than I gloomily feared! it makes a lot of sense that a horse no longer capable of pulling a stage was quite adequate for the Mr Perrys of the world to go see their patients, or who might take the Bennet girls to church. Morgan horses are a unique and separate breed, all descended from one rather amazing stallion named Figure, who was owned by a schoolmaster named Justin Morgan. Though Cleveland Bays were heavily imported into the US in the early nineteenth century, I ran across no suggestion that they were ever crossed with Morgans. However, Clevelands were crossed with other native draft horses to help improve those breeds. You are quite right about how delicate horses actually are. They need a great deal of care and attention to remain healthy and fit. They are most vulnerable in their legs and feet, which is to be expected with such large bodies balanced on those slim legs, not to mention their hooves are essentially the residue of a single toenail on which all their weight is carried. You are also correct that very high stepping horses were “more flash than dash,” as they say. Horses that lifted their knees very high during their stride could not achieve any real speed. That was the beauty of the Yorkshire Coach Horse. They had a higher knee action that did Cleveland Bays, but it was very smooth and not so high that it interfered with their speed. They also inherited the Clevelands very smooth and open shoulder action, which further enhanced their gait without inhibiting their speed. So, you can see why they were so popular. Many thanks for such a full answer! fascinating! One would get less seasick travelling with such smooth actioned horses too I would think, and therefore arrive fresher… especially after the introduction of carriages with good steel leaf springs. one fault I would sometimes pick with the way people handle them in novels is to leave them standing about outside without walking them – horses need to be cooled gently or they can just die, and should be walked to keep them warm if the day is cold. THIS IS WHY YOU HAVE GROOMS AND FOOTMEN, PEOPLE. It doesn’t take more than a sentence to mention them! I have a friend who writes historicals and is very horsy, and she’s written some amazing rants on the subject. I heartily second that!!! However, a dead giveaway about a nasty character to me in a story is one who is careless with his horses. When they do something horrid later, I am never surprised, since they have neglected their horses. But what are the symptoms of a broken wind, do you know? I’ve heard of the condition, of course, but I always wondered what it actually meant to the animal. Like Sarah, I’m relieved to hear coach horses didn’t necessarily become dog meat once they lost some of their youthful vigor. Probably lack of stamina as a result, & it would feel like asthma to the horse? Pretty much! Most horses considered to have broken wind tended to make a hoarse, roaring sound when they breathed. That sound seems to have given rise to the term. In the majority of cases, it was asthma and/or dust allergies. Clean air and clean stabling would go a long way to reversing or even eliminating the symptoms, but such horses would never have the level of endurance a completely healthy horse would have. But they were not completely useless. With good care, they could pull a carriage or light cart, at a walk, for a reasonable distance, without distress. They could also do other light work. In addition, for those who bred and trained Thoroughbreds, if they were of a steady disposition, they would make good, calming companions for those very high-strung horses. Broken wind was also used to refer to heaves, whereby the horse has a partially blocked airway and has to work extra hard to expel the air they have inhaled. They often make a terrible roaring sound as they breathe. They are not exactly in pain, but breathing is certainly uncomfortable for them. This condition was much harder to cure during the Regency, though it is fairly easily treated today. Horses with broken wind as a result of constant exposure to poor quality hay and straw could usually recover, often fully, if they were allowed to spend a lot of time outdoors. Living in the open air would often reduce or even eliminate their allergy symptoms so that they could breathe much more normally. Fascinating! That’s well worth knowing, and to be stored away for the use of future plotlines, I mentioned broken down carriage horses being used to train foundlings as grooms in Vanities and Vexations but didn’t go into detail, not knowing enough. Now I know more, thanks to you, I have a chance of using that. Thank you as always, Kat, for satisfying the insatiable curiosity of your followers! The subject of fairground trickery &c. sounds like a fascinating blog post! I do hope you get around to it, I am sure many people will enjoy it, and such information might add an interesting bit of by-play to a Regency yet to be written. i would like to follow your blog. How do i do that? Just click the Follow button and follow the directions.